Mirowski Inspections provides consulting services to homeowners who are interested in borrowing funds to make home improvements under the HUD 203k loan program. The Federal Housing Administration (FHA), which is part of the Department of Housing and Urban Development (HUD), administers various single family mortgage insurance programs. These programs operate through FHA-approved lending institutions which submit applications to have the property appraised and have the buyer’s credit approved. These lenders fund the mortgage loans . HUD does not make direct loans to help people buy homes. A 203k loan consultant helps bring together all the necessary components required to help get your loan funded. We interface between the homeowner, contractor, and lender to ensure all requirements specified by FHA are met and that all paperwork is in order to help all parties in the transaction have a smooth and efficient experience. The consultant helps to ensure that the improvements comply with HUD’s Minimum Property Standards and all local codes and ordinances, coordinates or provides a plot plan of the site (if required), a proposed interior plan of the dwelling, a work write-up and a cost estimate with a complete description of the work for each item showing labor and materials sufficient to complete the work by a contractor. A 203k loan is an FHA Loan that allows you to purchase a home that needs renovations or just some updating and get one loan that includes funds for the purchase AND all rehab costs, inspections fees and even 6 month’s carrying costs. The 203k loan can be used when buying a house and also for refinancing. I recommend that a home buyer take advantage of the various specialty inspections when buying so he understands his purchase very thoroughly. A HUD 203k consultant inspection will not get into any of these specialty inspections as they require the expertise of numerous trained persons. It is certainly in the best interest of the homeowner to understand these differences and what they address so he can make the most informed decision possible. When using the 203k loan program for refinancing, it will be the homeowner’s choice whether or not he wants to have specialty inspections. There is no requirement from HUD that he does so other than the inspection done by the consultant. Certainly, if he wants the information and the understanding it would be his choice. However, the homeowner needs to understand the HUD 203k consultant inspection does not take the place of a thorough inspection by a qualified home inspector. Almost all properties are eligible for a 203k loan. You need to have at least $5,000 in repairs to health & safety items, structural or mechanical items. After that, you can go up to HUD maximum loan limits! If you need less than $35,000 in repairs, you can use the FHA 203k Streamlined program (which does NOT require a 203k Inspector) but your Lender might require a 203k Feasibility Study or even a full 203k Work Write-up, depending on the nature of the repairs needed. 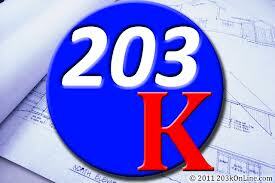 What is a 203K Inspection Cover? A 203K Inspection serves a very specific focus primarily to inspect the property to see if it meets the “Minimum Property Standards” a set forth by HUD. The main area of the HUD standards that applies to the 203K Loan Program has to do with health and safety and the longevity of the building throughout the life of the loan. 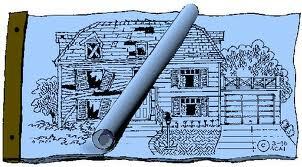 The standard home inspection has a different set of standards and is much more rigorous than the HUD Standards. There is overlap between the two, however, a home inspector will do a much more detailed and exhaustive inspection, followed with an itemized inspection report. In contrast, the report generated for the 203K Loan is mainly used to compile a budget.